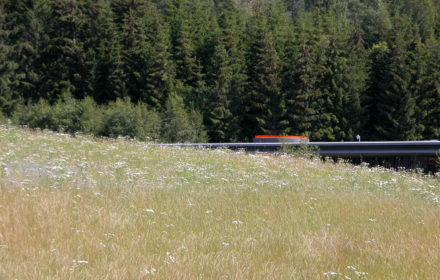 The project has a dual function in that it is both a school and a meeting place for local youth. 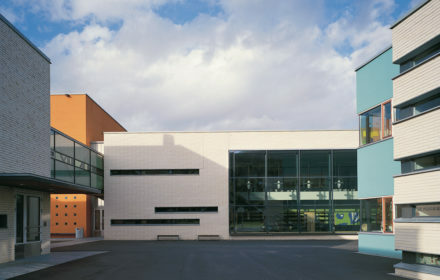 The four two-storey buildings are organized around a central piazza where both curricular and extra-curricular activities can take place. 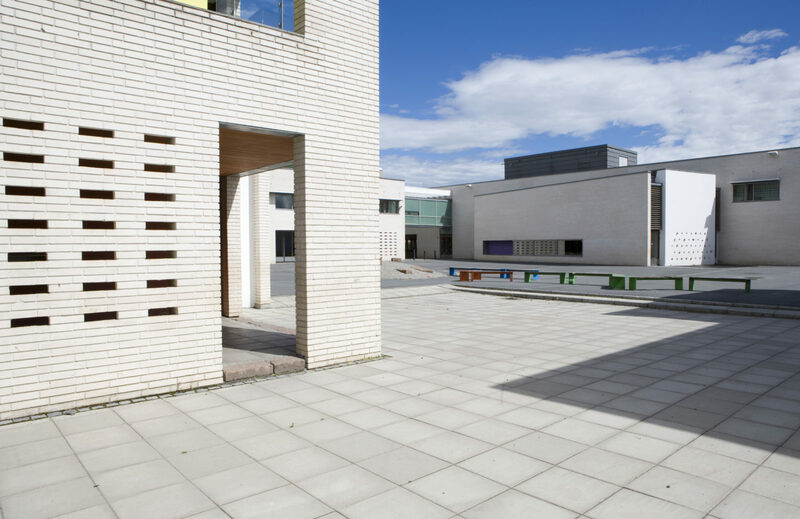 In contrast to the “urbanity” of the central piazza, the school itself is placed in a rural landscape. 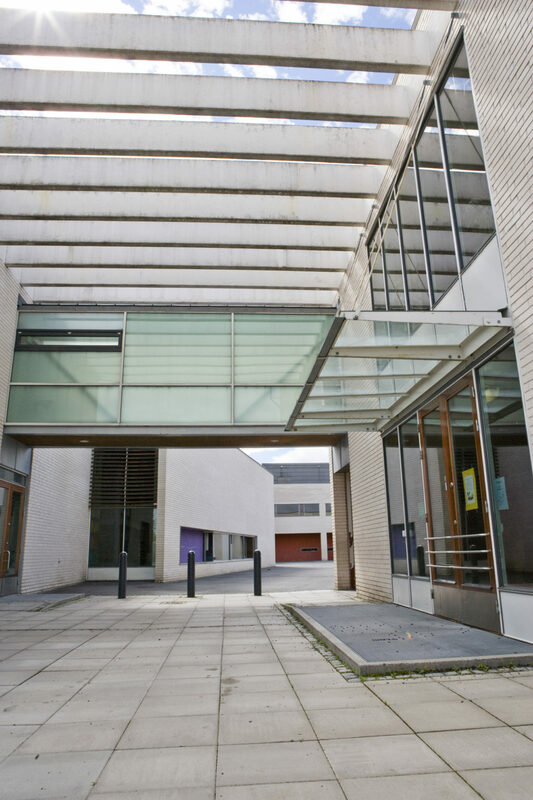 The classrooms face the green surroundings, while corridors and communal areas face the inner piazza. 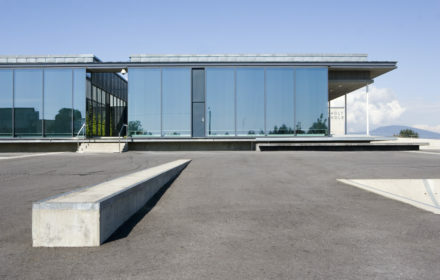 A first-floor glazed sky-walk connects the buildings and functions. The main volumes are clad in sand coloured brick, with contrasting structural elements in brightly painted plaster. 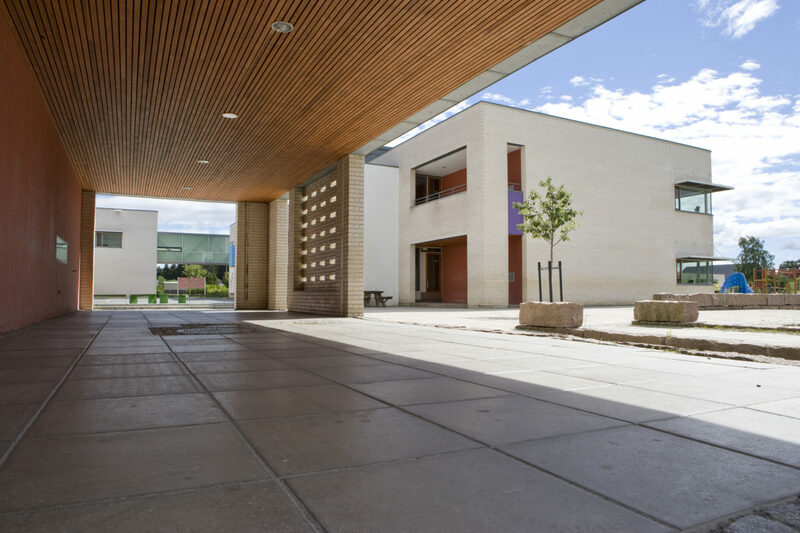 Outdoor wooden ceilings give the school an organic accent. 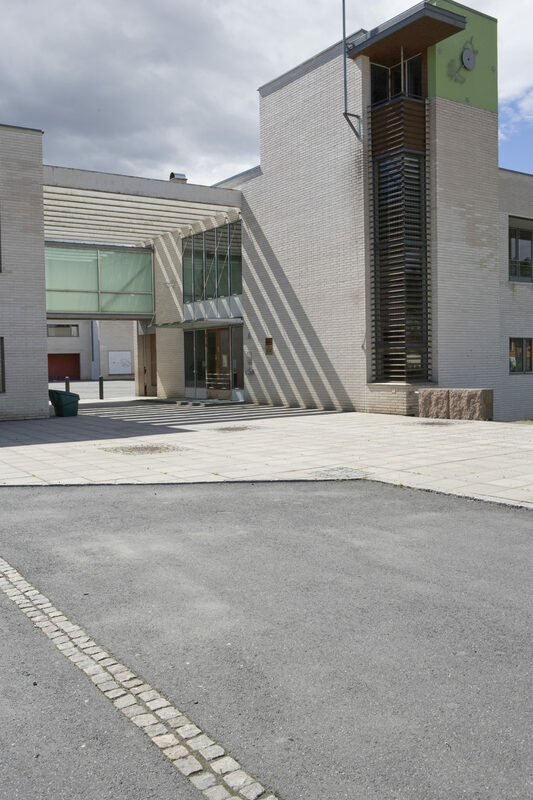 Benterud School received both the National School Building Design Award’s Honourable Mention and the Award for Design Excellence Awarded by the Norwegian Design Council in 2000.